Booksellers and publishers who sign up will have the opportunity to take either a full-day or a half-day tour of Pittsburgh’s independent bookstores. Panelists offered the attending booksellers tips and tricks pertaining to the best practices they found most important for selling direct to schools, managing author event orders, and book fair distribution. The governor’s letter followed Amazon’s February decision to cancel plans to establish one of its two new corporate headquarters in Queens, New York. As Amazon Books opened its first Denver storefront last week, Second Star to the Right Books penned a letter to the city’s readers to remind them of the wonder of the city’s independent bookstores. 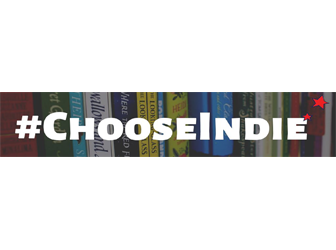 With less than two months to go until Independent Bookstore Day, April 27, here are some tips for how participating stores can start spreading the news. Two grants will be awarded to two bookstores that work with a nonprofit or organization on a program to strengthen their local communities and encourage reading. Registration will be capped at 250 ABA member stores for the July event, which serves as a campaign to promote the value of shopping locally. Booksellers can enter the contest by writing a short profile that highlights their bookstore’s unique story; entries will be accepted through March 25. The fifth annual event will be celebrated at more than 575 participating independent bookstores across the country on Saturday, April 27. Prime Numbers: Amazon and American Communities quantifies the stark economic cost exacted nationwide as a result of Amazon’s online retail sales. Candlewick will provide bookstores with a toolkit containing mini Waldo standees, window clings, prize buttons, a Waldo poster, Waldo prize books, and more. The deadline is Friday, March 1, for ABA member stores to sign up on BookWeb for the annual shop local campaign. Bookseller registration opened on Wednesday, January 23. 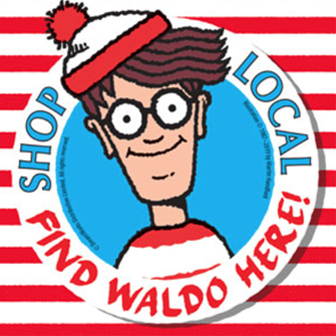 Candlewick will once again provide 250 host bookstores with a toolkit containing everything needed to launch a Find Waldo Local event in their communities. Michelle Obama visits Tattered Cover, Seminary Co-op; Fountain Bookstore tweet goes viral; Jake’s Place, Bermuda Book Store, A Freethinker’s Corner open; Porter Square, Malaprop’s open pop-ups; A Novel Idea, Eso Won Books, The Story House, Politics and Prose, Village Books, Powell’s, Gibson’s, Northshire, Mclean & Eakin featured in local news; and more.